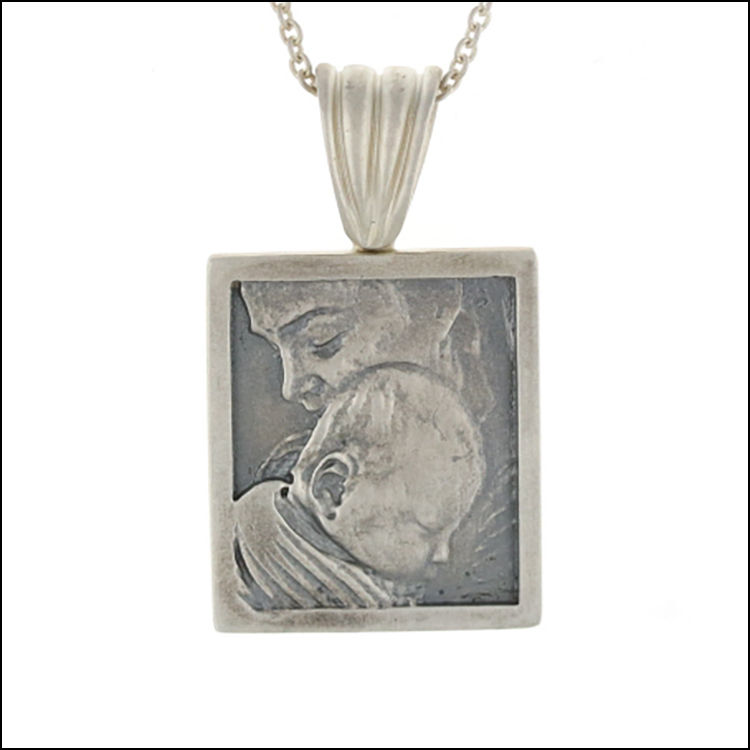 We use a combination of techniques to transform your photographs into a 3-D pendant. We use photoshop to turn it into tones of gray and then we use our CAD program to make the dark parts of the image recede and the light parts come forward. Then we 3-D print and cast the pendant in sterling silver and oxidize it to bring out the details. The result is a cameo-like portrait that you can wear and cherish! Because of the techniques involved, and to keep the labor down (the more photoshop time we have to spend, the more we would have to charge) we suggest the following guidelines. The pictured samples required minimal photoshop time and the price of ones like those would be $950. Be sure to take the highest quality (resolution) image possible. Profiles or partial profiles work best. Downward looking or closed eyes work best. Ideally, clothing should be a simple rather than a strong pattern. As much contrast as possible between the background and the subject is helpful. Send us your photos and we'll let you know if we think they will work well for this process and we'll give you a quote! Be sure to choose the original file size option when attaching photos! !